We wanted a family adventure in a National Park but didn’t know which one to choose. Thankfully, there was Backroads, considered the world’s number one active travel company, to make it happen. 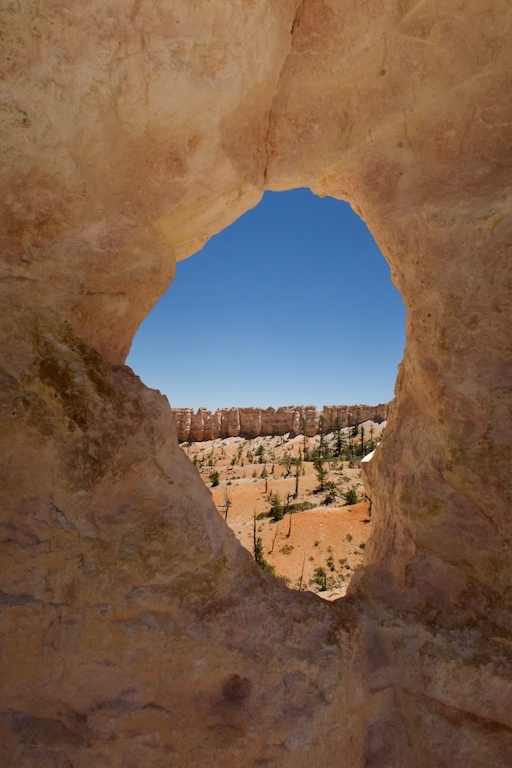 A view of Bryce Canyon. 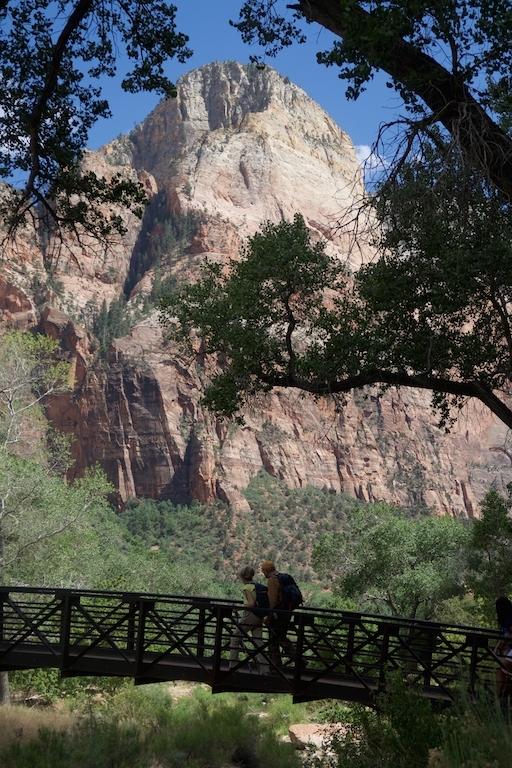 Utah’s Zion and Bryce Canyon national parks were selected as the destinations and a group aged 3 to over 73 was formed. 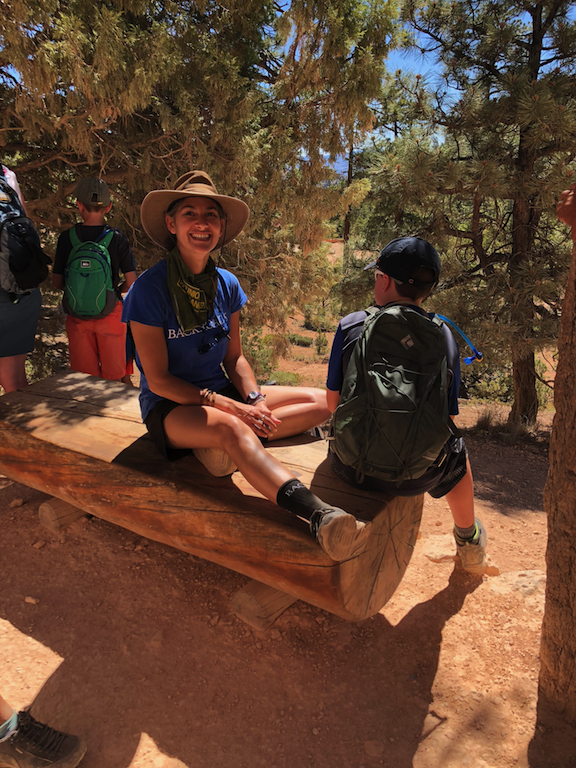 The teenagers took friends, the seniors became warriors, the little girls rode in packs on their physically fit mom’s backs, the kids rappelled in slot canyons, and all gasped when a bright-eyed participant spotted a California condor soaring above. The trip’s four teens enjoying a delicious Backroads lunch. 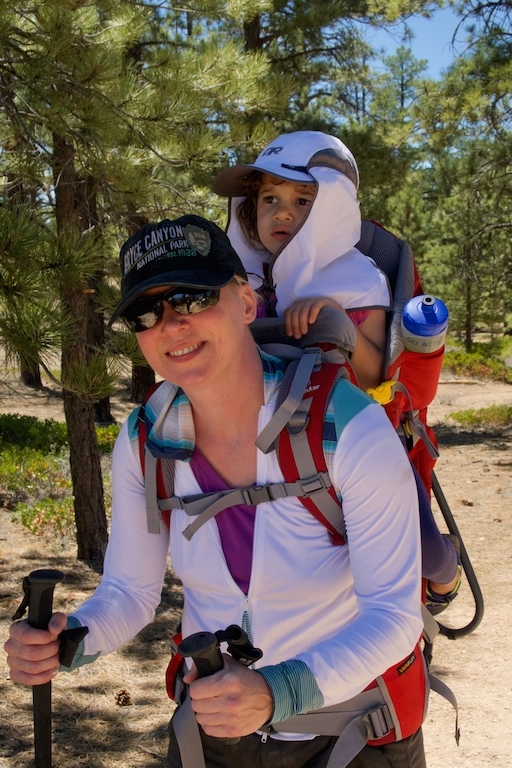 One of the group’s moms, Lisette Bross, totes daughter Addison along for the hike. Hiking destinations named Scout Lookout (complete with Walter’s Wiggles switchbacks), Emerald Pools, and the Peekaboo Loop were to be conquered, and our Backroads guides Kim Masdeo, Jay Rose, and Nick Robinson were at our sides filled with geological information on the formation of these majestic parks featuring gigantic red sandstone monoliths in Zion and solitary surprises in Bryce. 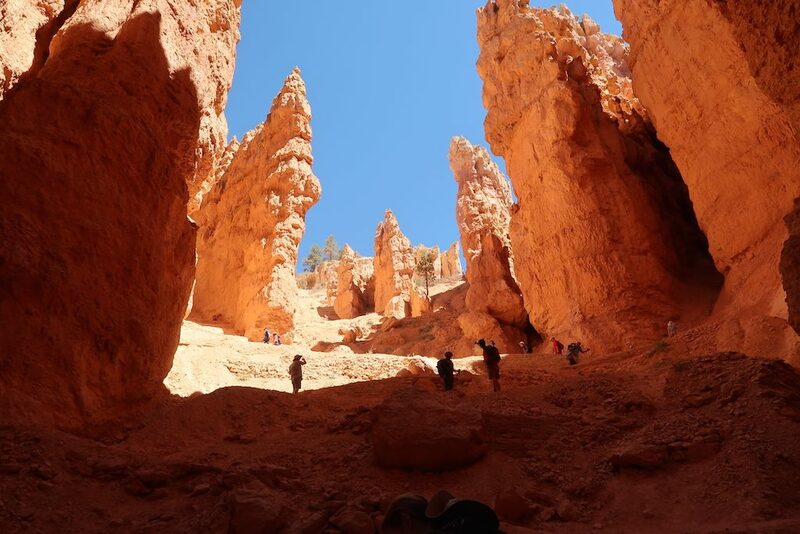 Who knew that we would fall in love with something called a hoodoo there? Long ago, Native Americans feared that these rocky spires were people frozen in time and thus kept out of those canyons, except for Butch Cassidy and the Sundance Kid who hid out from the law there. 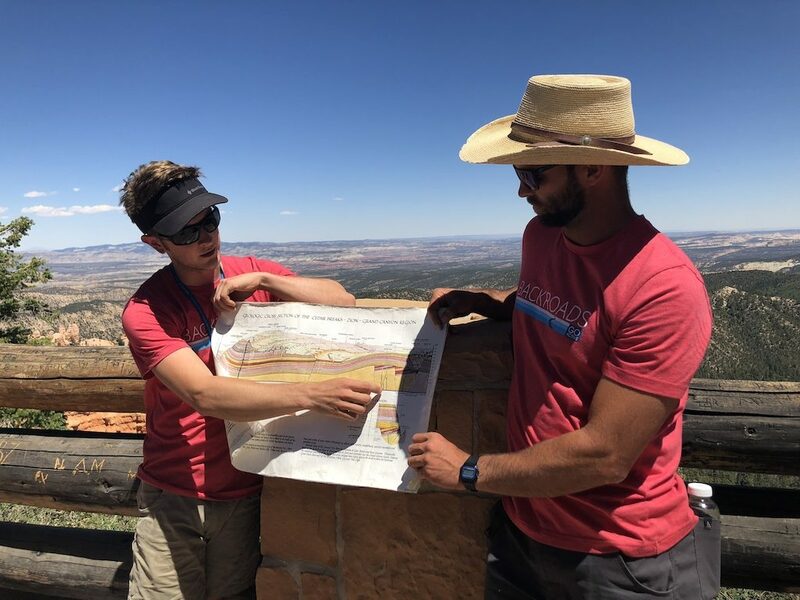 Nick and Jay provide a geological tutorial. 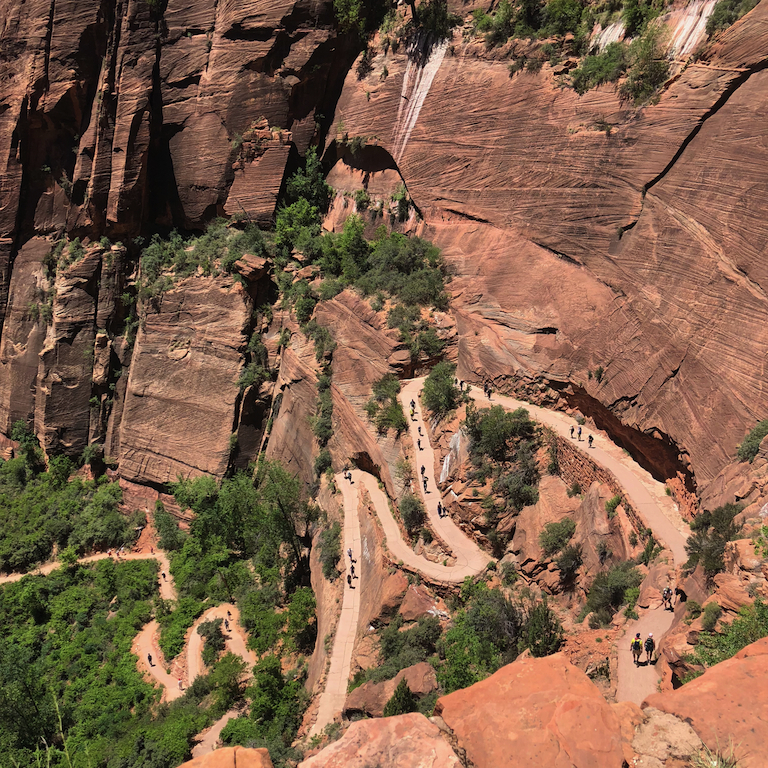 Termed the “mighty five,” the Utah National Parks are among the most geologically significant and monumentally beautiful of the 58 National Parks in our country. Often you hike along paths laid during the Depression by the Civilian Conservation Corps, a branch of President Roosevelt’s WPA that employed workers from across the country in the 1930s to build tunnels and dizzying paths. In 1872 Congress declared Yellowstone, in the territories of Montana and Wyoming, as the first National Park. In 1916 President Wilson created the National Park Service, which embraced not only the 35 parks at that time but future parks as well. With a quick van trip down the Strip to see the Sphinx, Eiffel Tower, and the Statue of Liberty, Las Vegas-style, after our plane landed there, we then headed into the desert via St. George, Utah, where we spent the first night. Our guides met us the next day providing two vans, a brief review of safety tips on hydration, sunscreen, and avoiding blisters. 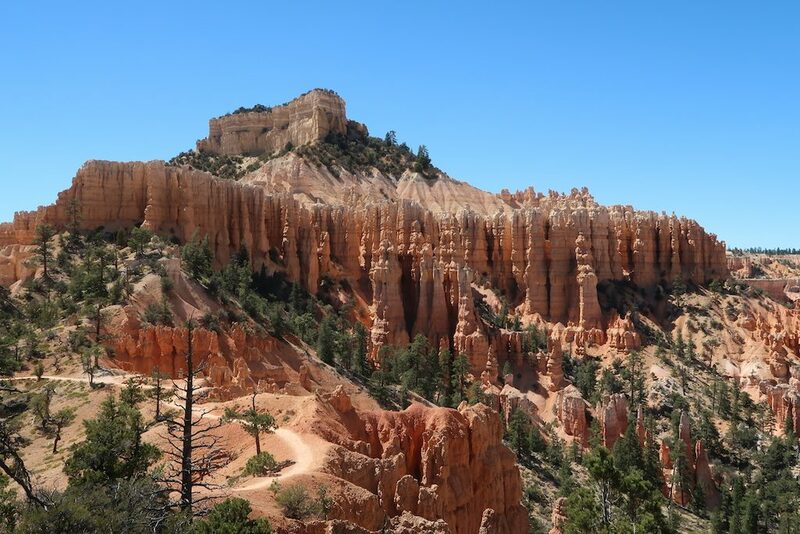 We learned that we would be travelling from Zion at 4,000 feet to Bryce at 8,000 feet, with one lookout—where you could see the Grand Canyon—at over 10,000 feet. Currently in 58 countries on six continents and in business since 1979, Backroads knows what they are doing. 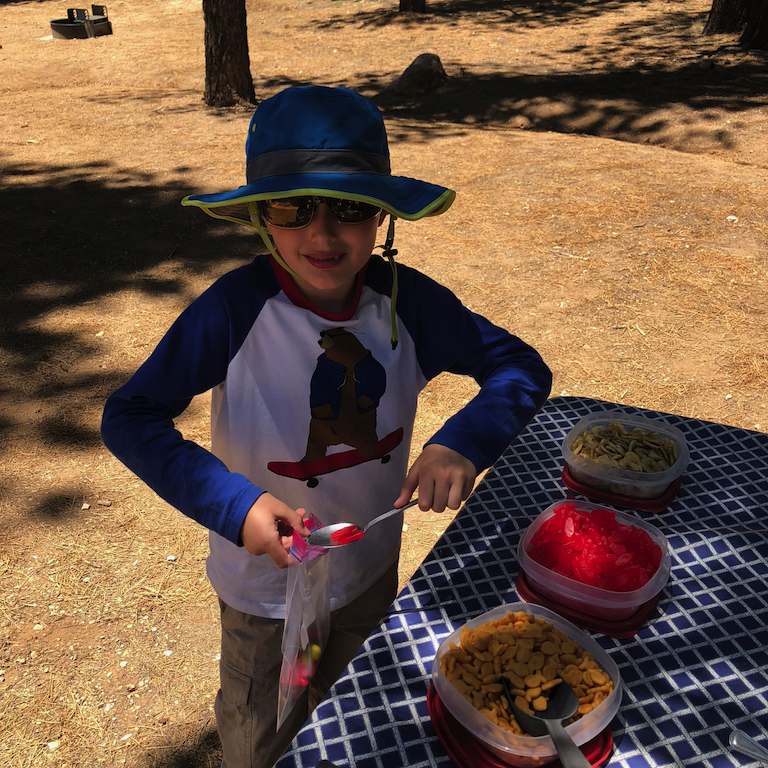 We soon learned why Backroads is often called “Snackroads.” There was always an abundance of fresh and dried fruit, flavored waters, m & m’s, and goldfish, all of which we heaped in our bags. Medical kits and every sort of supply were always on board. Some snacks for the road. 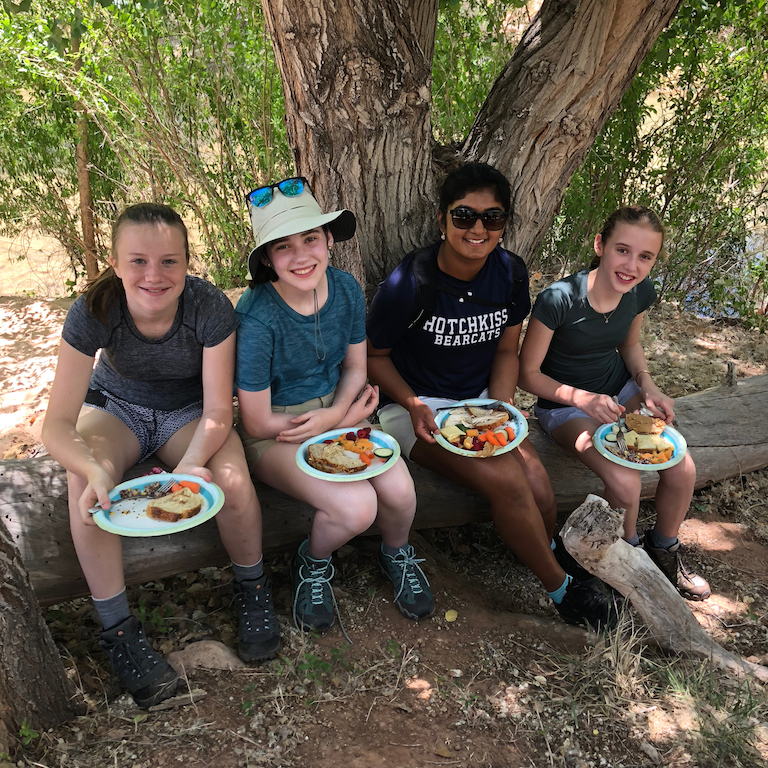 We also learned that our guides are great outdoor chefs when we had our first picnic beside a river in Springdale before entering Zion National Park—even packed lunch days involved ingredients like arugula and brie, all on freshly baked bread. The view beyond the roofs at the Desert Pearl Inn. The Desert Pearl Inn provided perfect lodging, gourmet breakfasts, and a terrific swimming pool for our three nights’ stay. Local shops, including Simply Birkenstock run by an affable man who owns a similar store in New Hampshire, stock everything you’d want to supplement your hiking gear. The local restaurants—including King’s Landing, the Bit & Spur, and the Spotted Dog—were all very delicious. 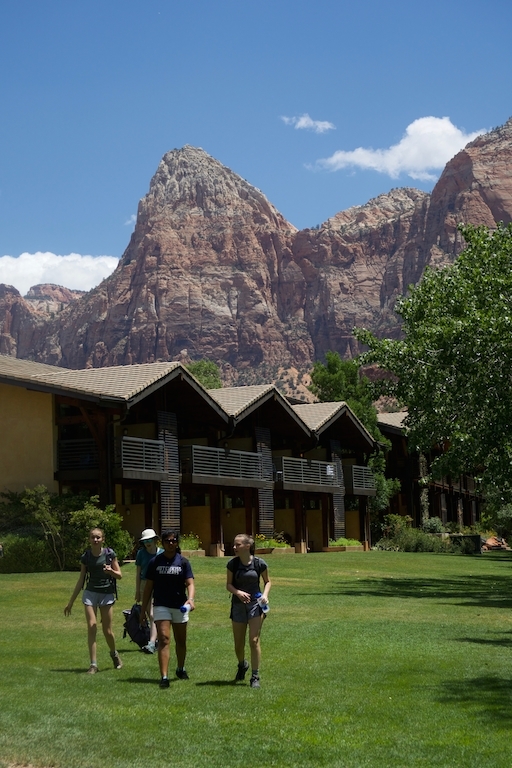 Zion Pizza & Noodle offered some of the best-looking pizza hungry hikers could imagine. Kim, Jay, and Nick told us that everyone should travel at their own pace, to take time to enjoy the natural beauty of the canyons. Backroads materials talk about journeying through a fascinating region under your own power, getting a visceral sense of place, and looking for the next unexpected moment. A romantic stroll across a bridge to conclude the day’s hike. 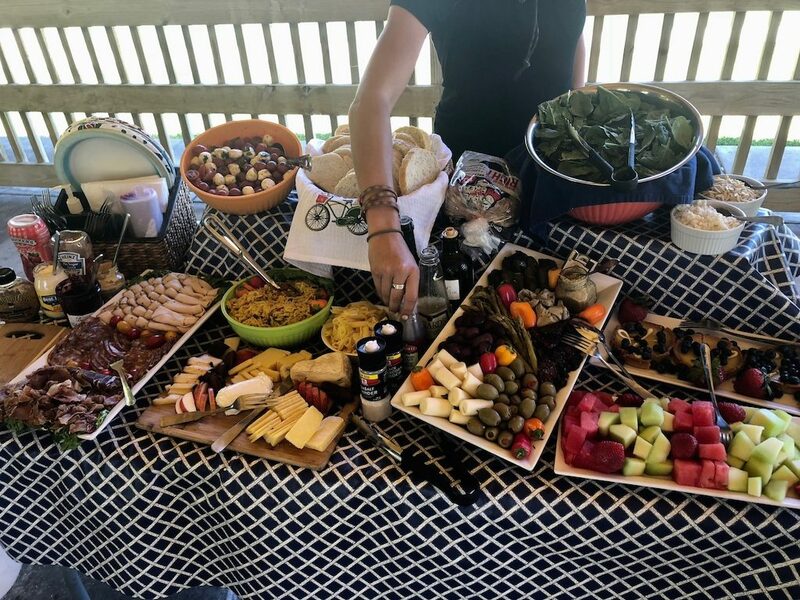 “Backroads is providing an opportunity for families to travel together and meet other families–all with minimal stress—and for kids to meet other kids and create bonds during our ‘kid only’ activities. Kim taking time to chat with some of the younger hikers. 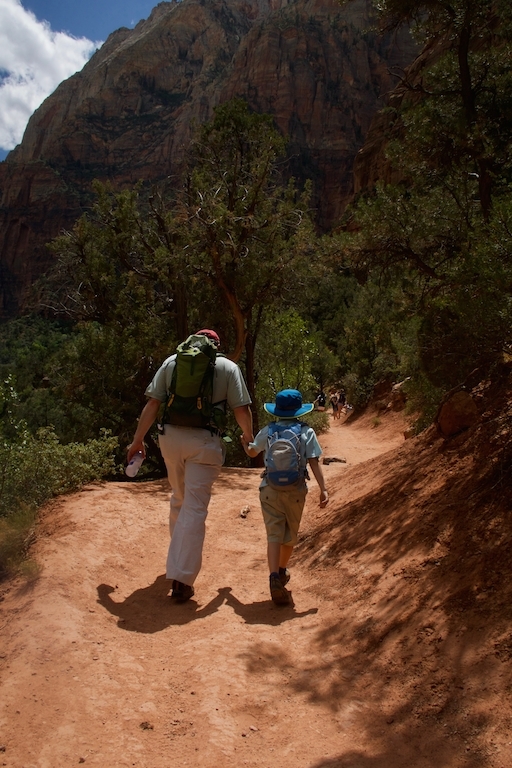 This sense of confidence-building, for young and old alike, was echoed on Day Two of our Backroads experience, with the children heading out in the morning for a day of canyoneering while the adults took the 3.6-mile Scout Lookout hike, a 1,030-foot elevation gain, part of the way up Zion’s infamous Angels Landing. Every step of the way, Nick was on hand to provide insider information on the sights and sounds—his breadth of knowledge rivaled that of any field guide or encyclopedia out there! This steep uphill climb takes a break at breezy Refrigerator Canyon—a welcome pause in the midday heat. Glimpsing a spotted baby owl and its mother also presented a good place to pause. Finally, after a trail through Walter’s Wiggles—a series of switchbacks cut into the solid rock in 1926—we ended at the lookout. The climb to Scout Lookout. Imagine our amazement when Jay produced from his backpack a perfect tray of strawberries local chocolate he had been keeping on ice. There can’t be anything more satisfying than being fed chocolate and strawberries on a mountaintop! John, daughter Suzette, and her husband, Ally, enjoy the strawberries and chocolate provided by Jay. Amazement increased as we gathered at the bottom once the hike concluded and lunch was served, when one member tried to lift Jay’s backpack only to discover that he had a 35-pound kettlebell inside to make the hike a challenge for him! 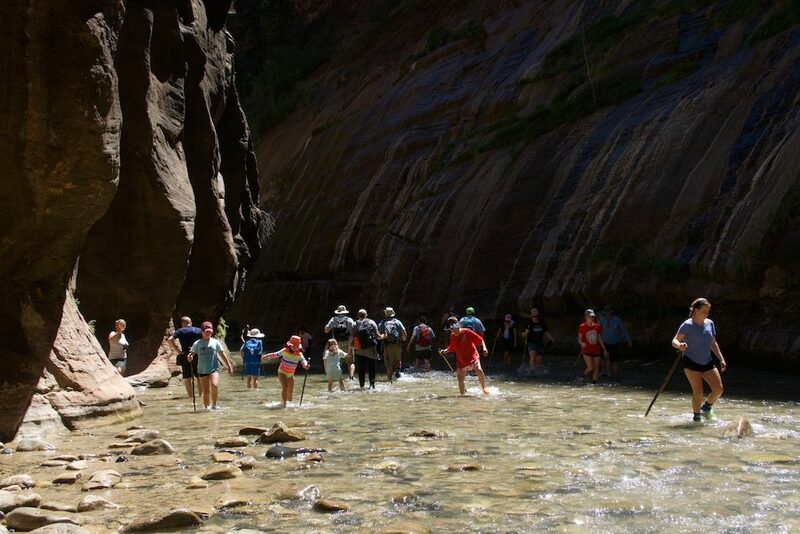 The following day focused on The Narrows of the Virgin River, one of the legendary hikes in the world, only available at certain times of the year when there is no fear of flash floods. At the main entrance to the park you can rent sturdy water boots and get a free pole thrown in as well. The cool water often comes up to your knees, but on a hot day it felt marvelous. We made a picnic of it, after about an hour’s hike into the narrow canyon. t is a wonderful family adventure—strollers can be wheeled to the water’s edge and it is a welcome flat walk. 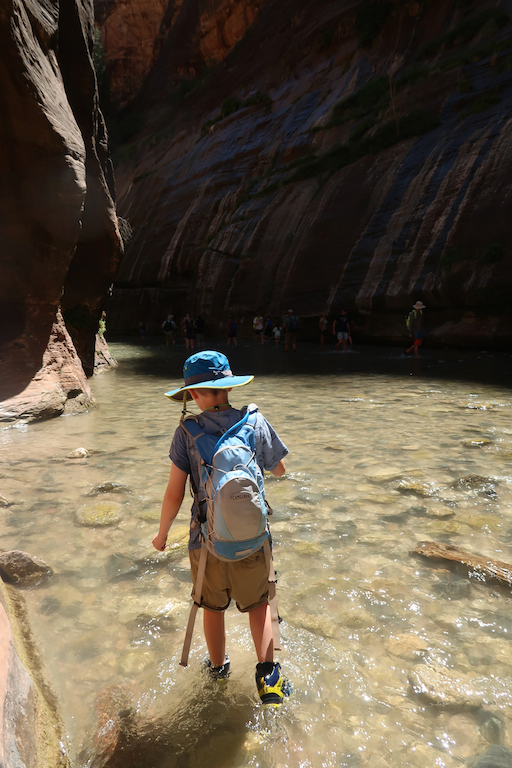 The Narrows proved to be a popular destination for all ages. Where the Narrows was filled with happy people splashing in the water, Bryce Canyon was a contrast in solitary splendor. 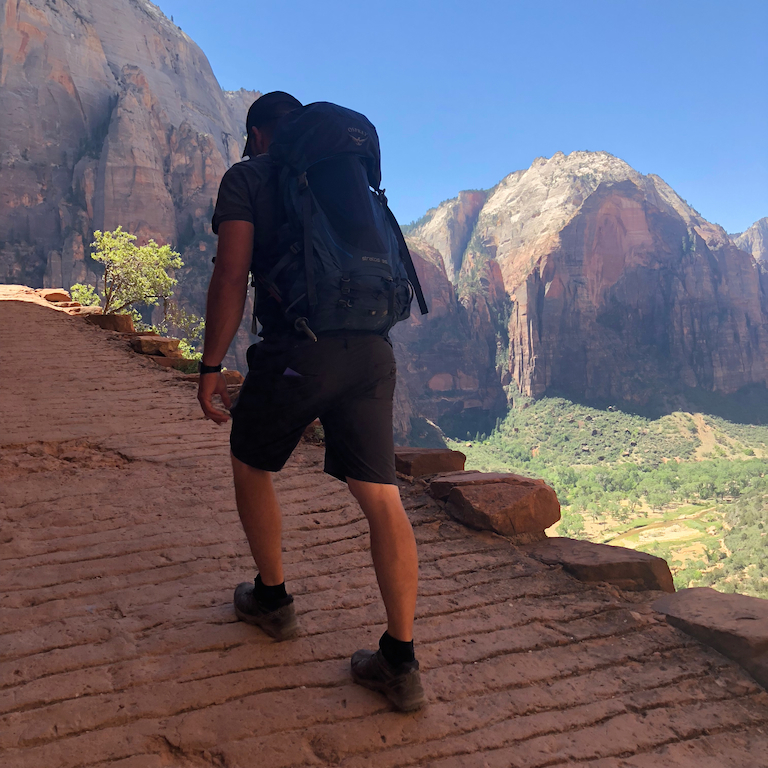 Just over two hours away from Zion, Bryce often affords the opportunity to hike with only your thoughts to keep you company. 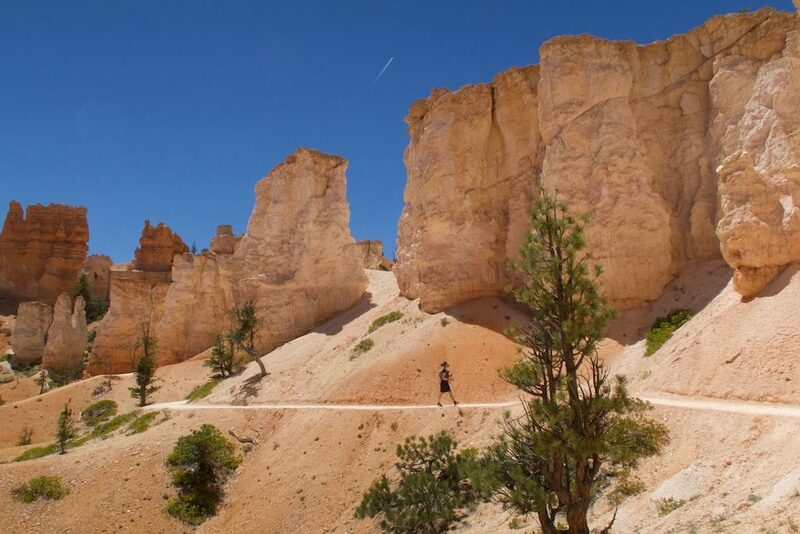 Quiet hikes in Bryce Canyon allow you to commune with nature. 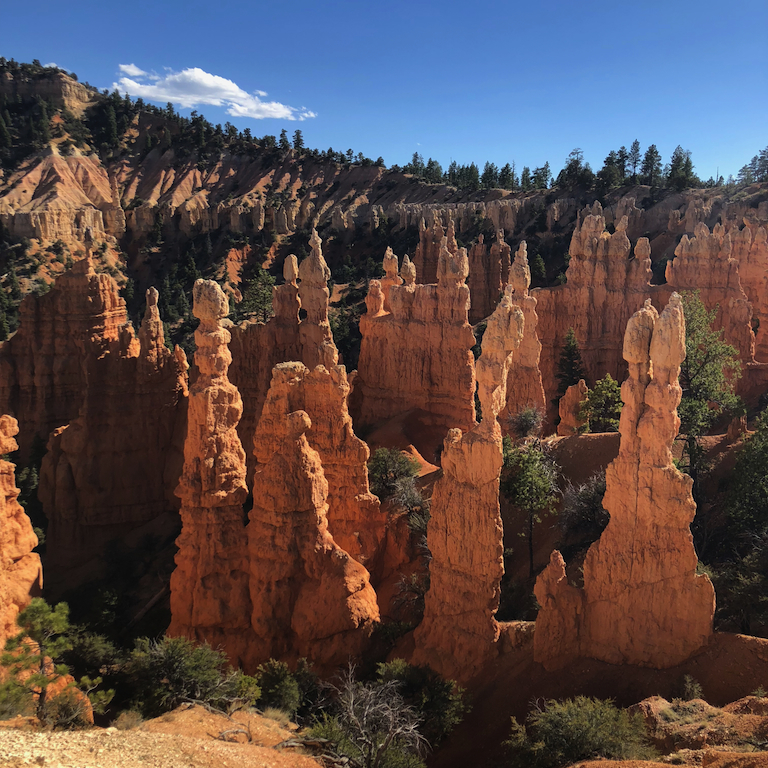 While the kids and a couple of adults accompanied the cowboys on a mule ride down the Canyon, some adults hiked among the hoodoos, bearing names like Queen Victoria, Marge Simpson, and Thor’s Hammer. 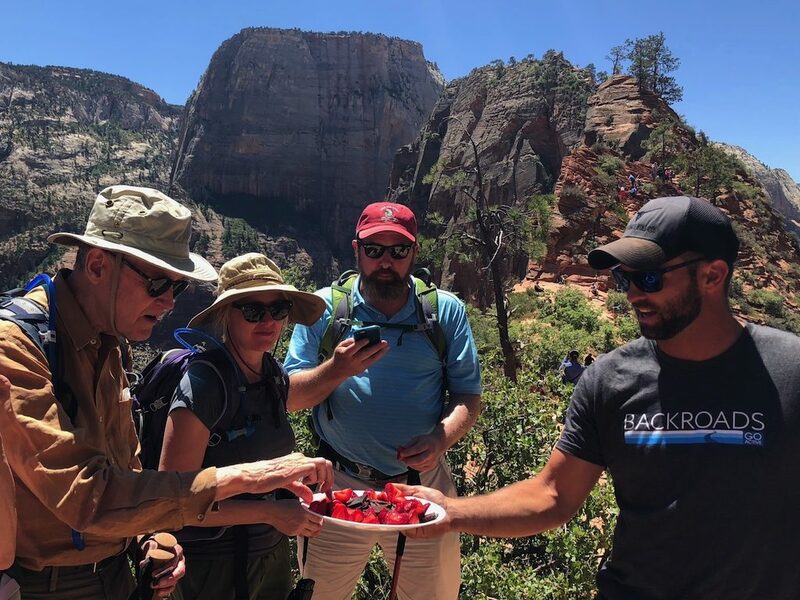 These intrepid hikers, including the patriarch, who chose to take the Fairyland Loop, one of Bryce’s most famous and challenging trails, were congratulated on this difficult feat. Another day included the 6-plus-mile Peekaboo Loop, braved by just three members and led by Kim. A view through the rocks. 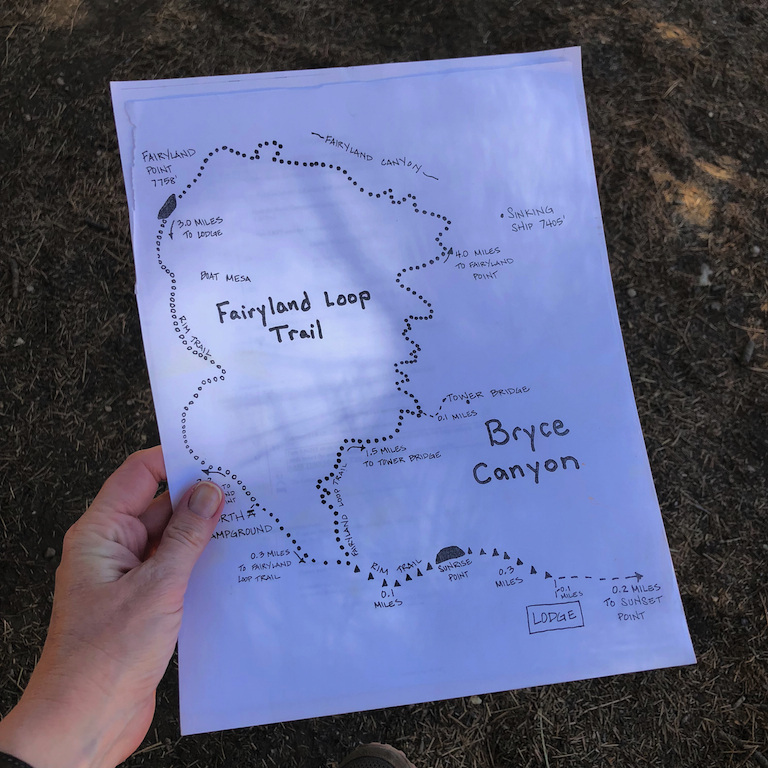 A map of the Fairyland Loop provided by the guides. 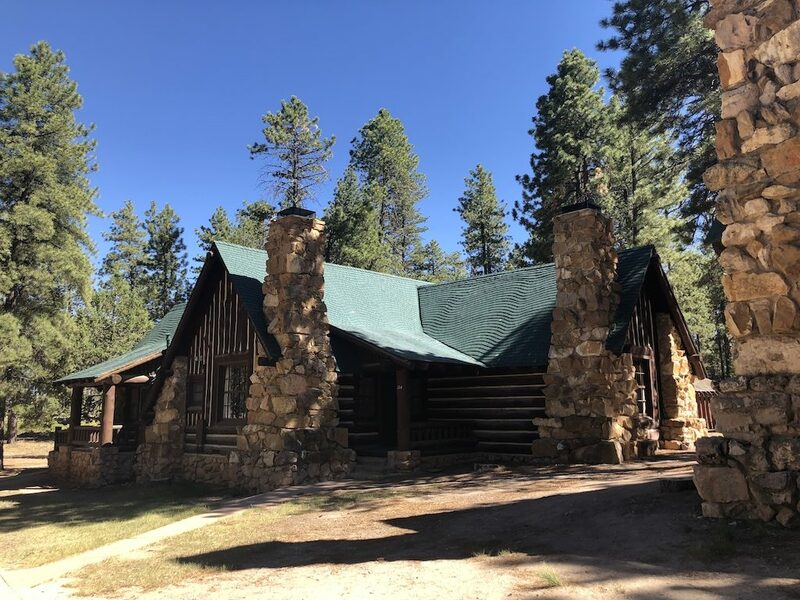 It took just a couple of minutes to walk from our cabins, first built in the 1920s, next to the Bryce Canyon Lodge to watch the sunset or the stars from homemade telescopes other visitors had brought along. With the exception of delicious picnics at the bottom of the canyon, we ate breakfast and dinner, which included bison chili, at the Lodge. One of the charming cabins at Bryce. This entry was posted in Dispatches on July 8, 2018 by Kay Whitfield.